May 14, 2017By Scholastic Inc. Posted in: Books, iOS Apps, iTunesTagged in: Books, Education, Scholastic Inc. 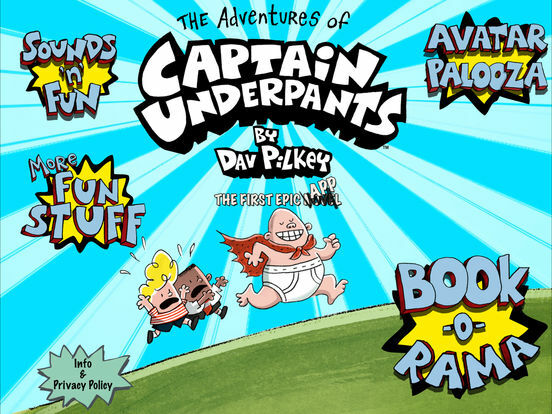 Calling all fans of the Captain: get ready for all the action, thrills and “laffs” you’ve come to know and love in the Captain Underpants books with The Adventures of Captain Underpants app! 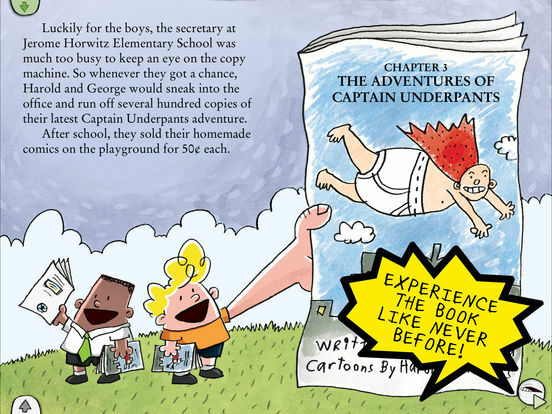 Players can dive into the world of the Captain in the Book-O-Rama, with the entire first epic novel "The Adventures of Captain Underpants" by Dav Pilkey presented for the first time in full color and high resolution. Experience the book as never before with full narration, and literally move through the story with parallax animation technology. 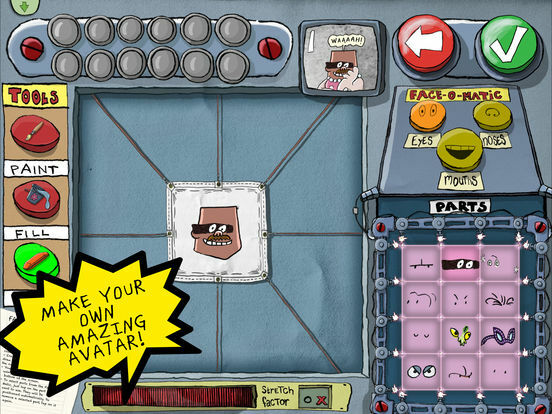 Then animate the action yourself in the Flip-O-Rama—in hilarious 2D! 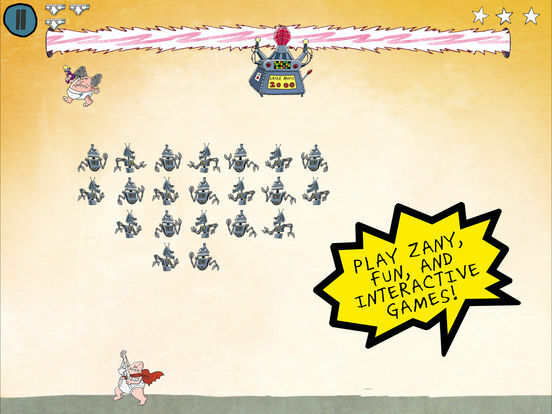 Play zany, fun and interactive games: Help Harold and George hypnotize their teacher Mr. Krupp! 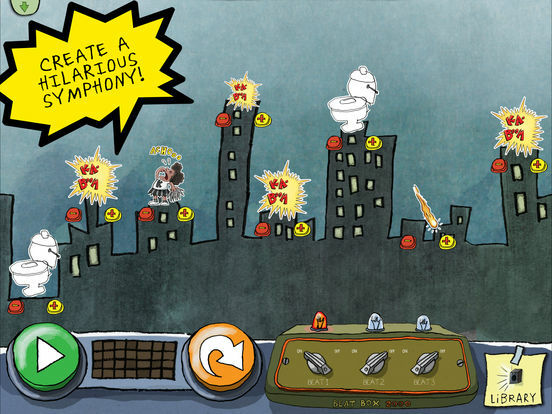 Race against the clock to chase Captain Underpants through the city in a challenging maze game! Battle with Dr. Diaper and his nefarious robot minions to destroy the Laser Matic 2000 and save the world—before it’s too late! Then visit the Beatbox and play hilarious sounds—or record your own—and watch the Captain “conduct” a gut-busting symphony. Players also can create their own avatar, discover their silly “Captain Underpants name,” and then see their avatars right alongside Captain Underpants! If you’re having any trouble with our app, or if you’d like to give us some feedback, please don’t hesitate to drop us a line at [email protected] (don’t forget to let us know what device and iOS version you’re using). We’re happy to help! ™ & © 2013 by Dav Pilkey. SCHOLASTIC ™ & © 2013 Scholastic Inc. Locked Folder Free - Password protect your photos, videos, notes, files, and contacts.